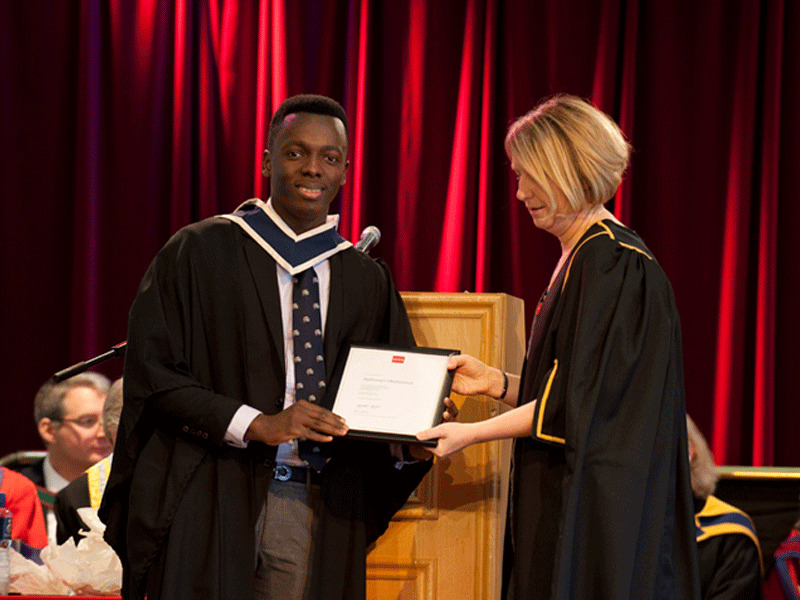 This year's confirmed dates for the Graduation Ceremony in Griffith College Dublin are the 7th and 8th November 2018. Our aim is to make this day memorable and as stress-free as possible. An email will be sent with information regarding tickets, robes and photography. This year's confirmed dates for the Graduation Ceremony in Griffith College Cork is the 22nd November 2018. Our aim is to make this day memorable and as stress-free as possible. 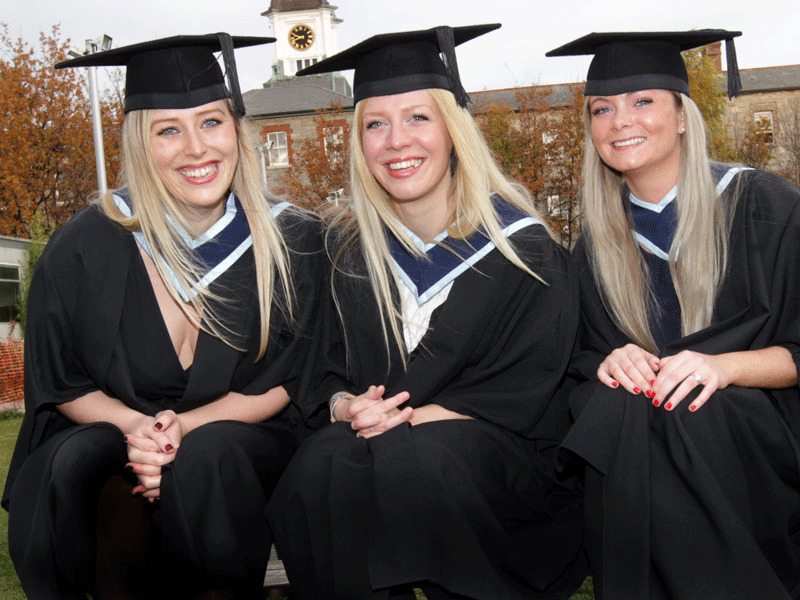 This year's confirmed date for the Graduation Ceremony in Griffith College Limerick is the 23rd November 2018. Our aim is to make this day memorable and as stress-free as possible. Academic robes are compulsory attire at graduation ceremonies. Armstrong & Oxford offer a Robe Hiring Service. 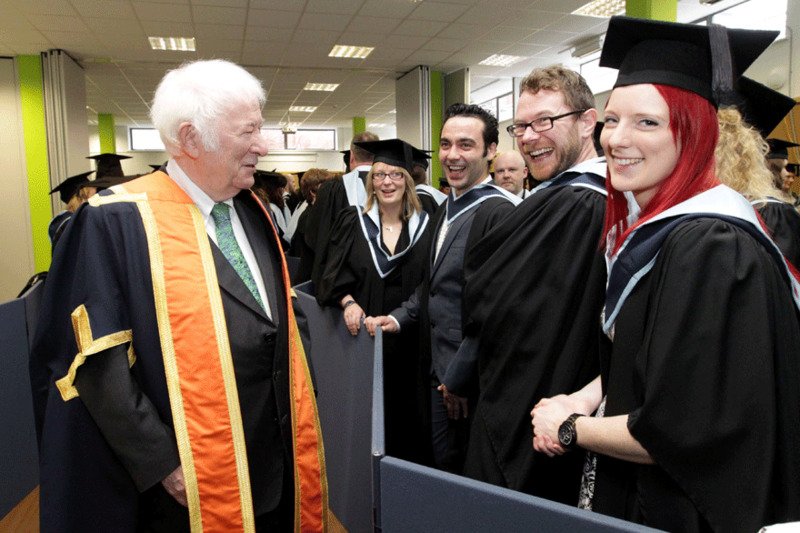 Bookings can be made up to 3 days in advance of your graduation ceremony. Armstrong & Oxford are assigned rooms on campus and will have all pre-ordered gowns, epitogues & hoods ready for collection. On arrival at the robing room, you are immediately gowned by experienced gown staff. You are strongly advised to refer to the gown issue times regarding collection of gowns. Gowns must be returned to the robe makers immediately after the ceremony. Any bookings made on the day must be paid for by credit/debit card. Lafayette Photography are the official photographers for Griffith College and have been authorised to take graduation photographs on the day of graduation. It is advisable to pre-book your photography online and click on “Graduation Photography”. Bookings can be made online up to the day before your graduation ceremony. Bookings can also be made on the day and must be paid for by credit/debit card. Guests should enter by the main entrance of the Auditorium which is located in the AF Building and be seated fifteen minutes before the Conferring Ceremony. There is a strict limit on numbers and only those with valid tickets will be permitted to enter the building. A map of the campus is available here. Dress Code is formal and Academic Robes are compulsory for all graduands. There is ample free parking available in the grounds of the College with additional paid parking options outside the College grounds. A map of the campus is available here. After each ceremony, you are asked to accompany your academics and fellow graduates in having a group photograph taken before joining your guests in Café Arthur for refreshments. Light refreshments are available in Arthur’s Bar after each ceremony. Please join your fellow graduates and the staff in celebrating your achievements. This year’s graduation party will be held in Copper Face Jacks. You will receive two free tickets and any extra tickets will cost €2. Please check into the Students Union for any further details.